The Toby trout spoon is still a deadly trout spin fishing lure. The Toby is the world’s most efficient all-round lure. Originally designed in Sweden by ABU, this long brass spoon was a top seller in New Zealand. Available in 12 colours: Brownie, Green/gold, Bully (green/black), Fingerling (rainbow colouring), Gold, Phantom (black/grey & white spots), Banana (black/yellow & red spots), Silver/blue, Copper, Zebra (black with gold stripes). Another good Toby colour scheme for sea-run trout is this whitebait or silvery version. Good at river mouths in the spring and summer. Just to cause a bit of confusion this lure is known the world over as a Toby. However, when sold and marketed in New Zealand by Kilwell Sports it is called a Turbo. It is, however, the same lure. 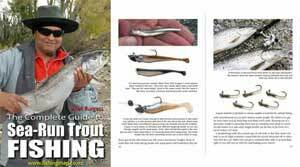 A disadvantage of the Toby is that it is quite long and affords a jumping rainbow trout in particular quite a bit of leverage when it comes to throwing the hook. You will notice that Toby spoons are always painted on the convex side only. This is not an economy measure to save paint. 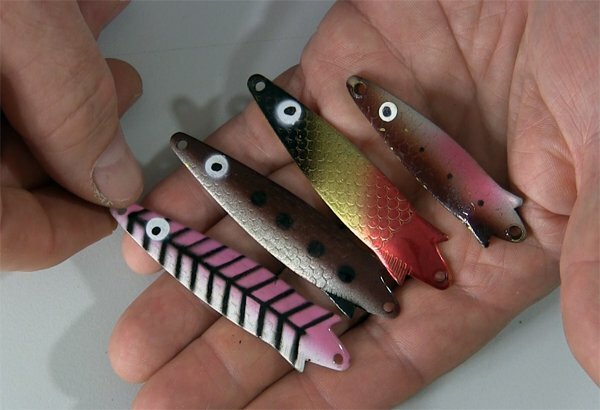 The reason only one side of a spoon lure is painted is that when the lure is viewed from behind by a following trout it appears to change colour each time the lure flips back. This is the convex side of the lure below it. Black with gold stripes made with narrow strips of self-adhesive prism tape. I have found this to be the best colour scheme for fishing lowland rivers and high country lakes. If you have one of these lures try holding it in your left hand by the front swivel whilst at the same time moving the lure from side to side with your other hand. Viewed from behind it is surprising just how “fish-like” the lure appears. If both sides of the lure were painted the same colour much of this light changing effect would be lost. You can enhance the effect, and the lure’s effectiveness, by polishing the back of the brass spoon only. I like to attach silver prism tape to the back which is better because it doesn’t tarnish and become dull. I believe the best colour scheme for trout fishing with a Toby is black with gold stripes. I am sure that I have caught more trout on this colour, Toby, than I have any other trout spinning lure. Their shape means they cast a long distance making them ideal on wide rivers, when lake fishing, or when you want to fish a bit deeper. A good tip is to attach silver prism tape to the reverse concave side of your Toby trout lures. This enhances the colour change effect when the lure is viewed from behind and increases the strike rate, particularly from sea-run brown trout. Note the original hook has been replaced with a chemically sharpened model from Owner. This will definitely increase your hook-up rate. However, when it comes to colour selection you have to be careful not to pre-judge as sometimes the strangest colours are surprisingly effective. The pink colour has proven to be a very effective trout taker when trolled on several central North Island lakes. For best casting distance get the heavier 16g version. In smaller streams, or when trolling, a lighter 10g model will be less likely to snag on the bottom when retrieved. When lake fishing you need to wind a faster to impart a good swimming action to the lure. In streams where there is a bit of current, this will often cause the lure to flutter so you can wind slowly allowing the lure to swim close to the bank where big brown trout are hiding! The Toby was once the biggest selling trout spinning lure sold in New Zealand. Brass spoons are not as popular with anglers as they once were but I will always have a few in my box of spinning lures. Some of the newer Kilwell Turbo colours available. If you keep a look-out sometimes you can get 20 or so Toby blanks on TradeMe.co.nz very cheaply. With a bit of light sanding and a can of black gloss spray paint, you’ll have enough lures to last for ages! The black Toby with gold strips is a deadly trout lure effective in almost any situation. It is possibly our best metal spoon lure! The Toby is a must for any trout spin anglers’ tackle box. Even in this modern age of soft plastic lures, the Toby is still one of the best trout spinners ever made. Brown trout taken on a black and gold stripped Toby. Note the red plastic tag which many anglers believe helps to trigger a strike. A selection of recently released Turbos, or Tobys, in new colours. The pink colour has proven to be a very effective trout taker when trolled on several central North Island lakes. 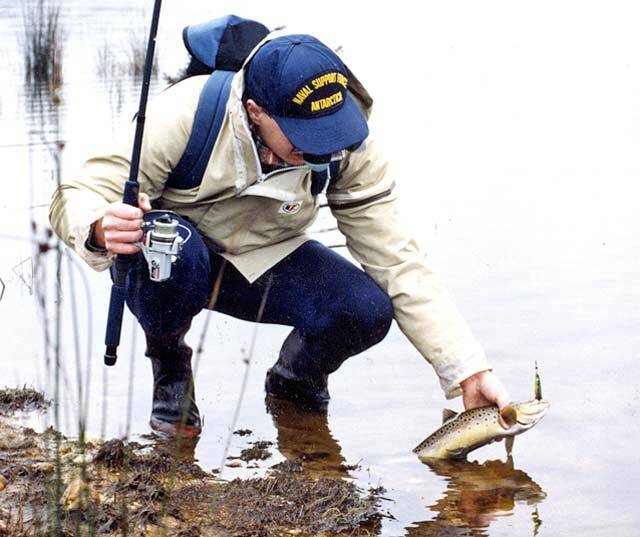 Phil Lester caught this brown trout in Lake Mahinerangi on a green and gold Toby. These lures cast well making them a good choice for fishing lake edges. Photo Brent Evans. I was always amazed at some of the guys I first went fishing with, in a fishing club many years ago. 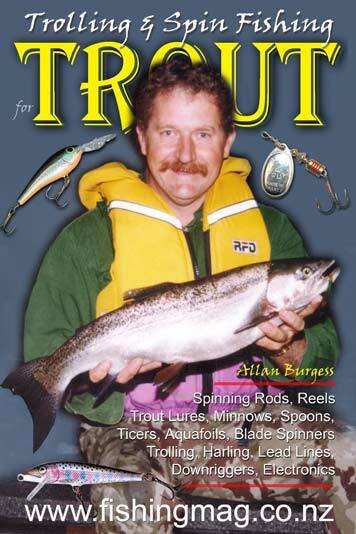 I just couldn’t understand why they were always so annoyingly lucky when it came to catching trout. The most incredible thing was that they were consistent. Consistent that is at catching fish when others didn’t. They were part of the elite 10 percent of trout anglers who catch 90 percent of the fish! Their secret was simple; knowledge and experience.